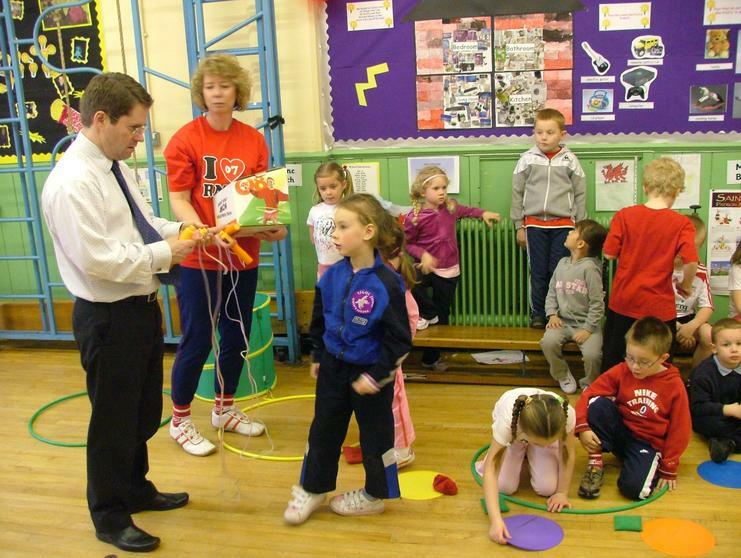 The School Council had been selling the specialSports Relief socks (you can see most of the children wearing them in the photos) and had had a bake sale to raise funds for the charity. 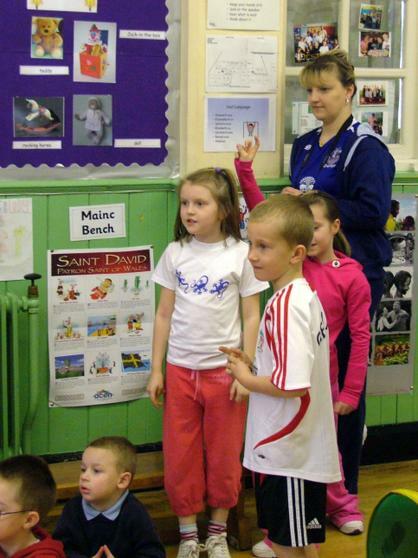 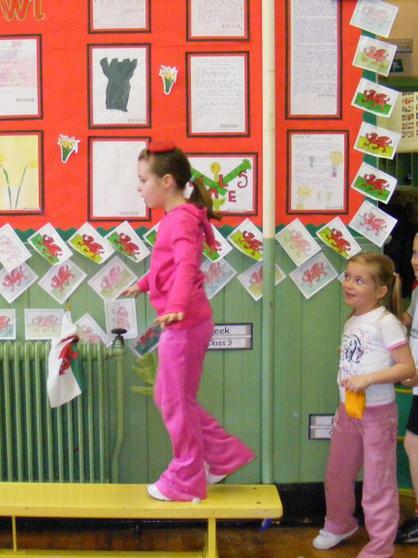 Whilst the Upper Juniors had gone to UWIC to take part in a mini-olympic tournament. 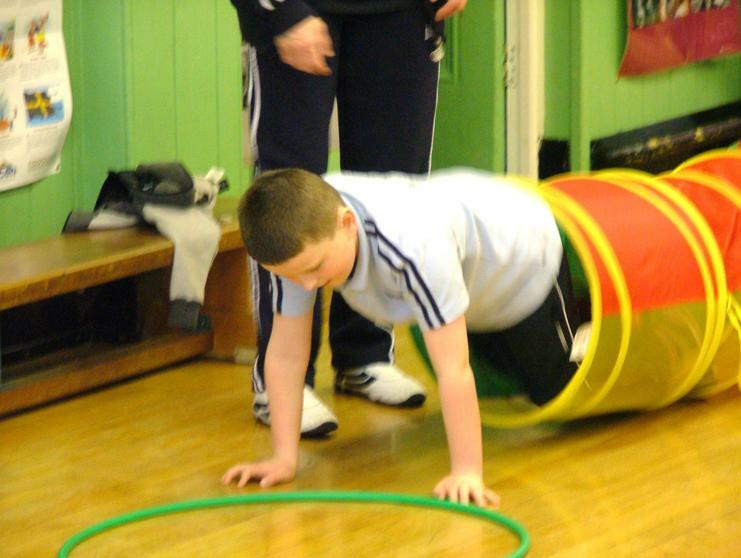 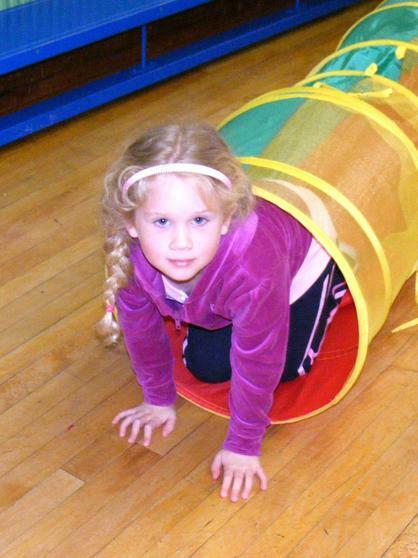 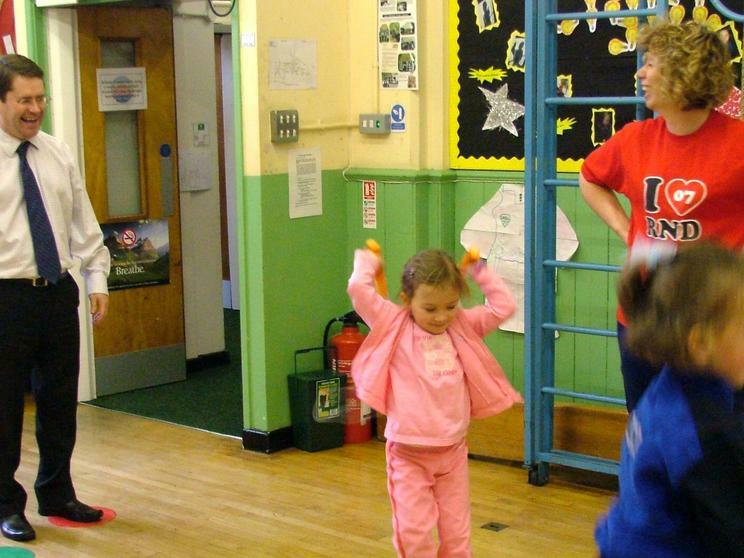 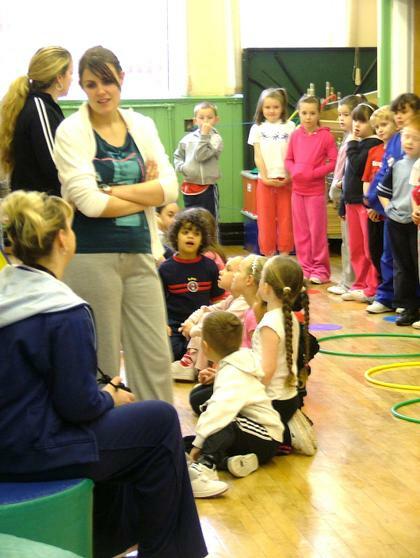 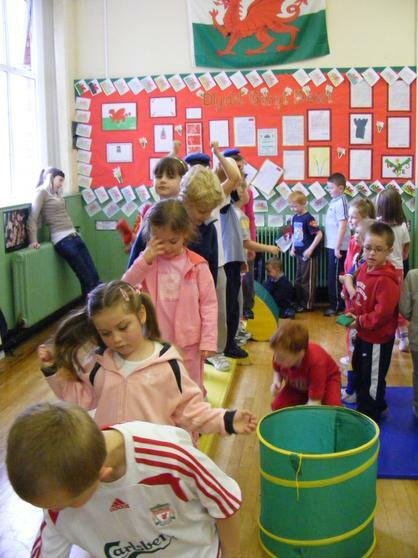 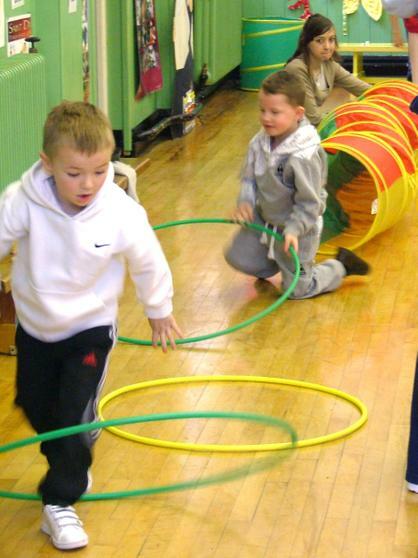 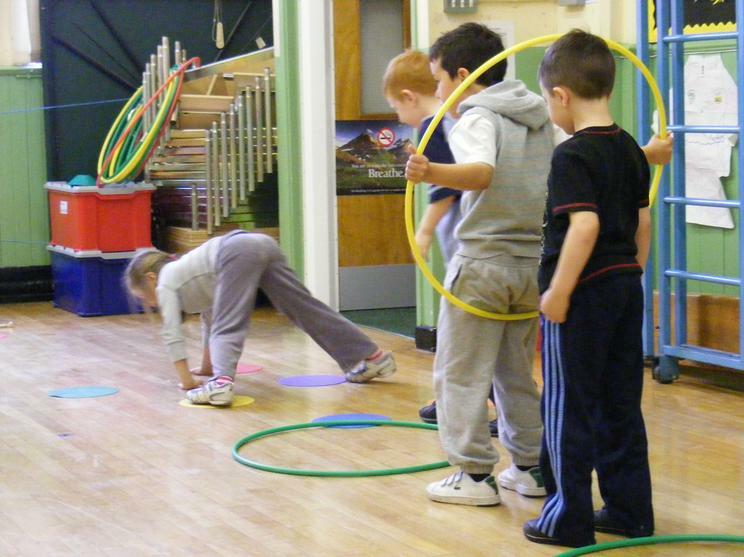 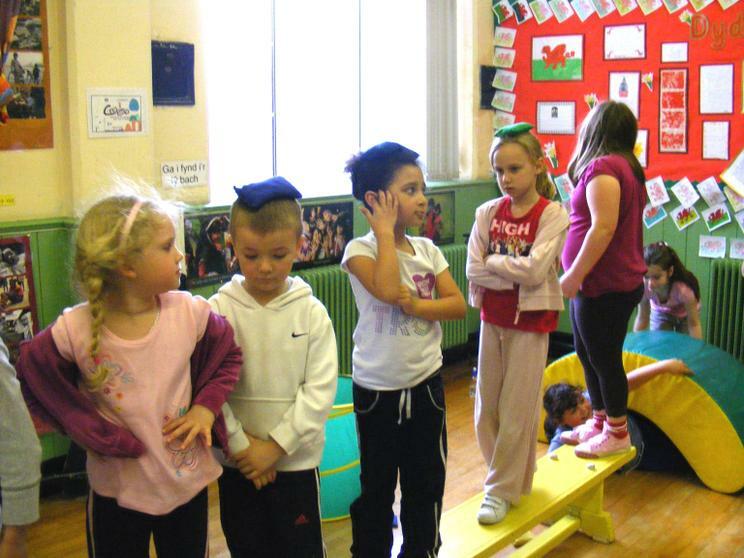 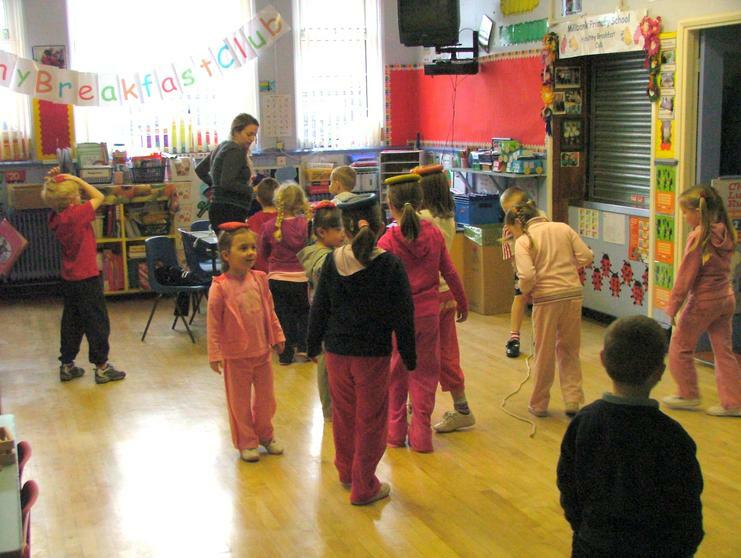 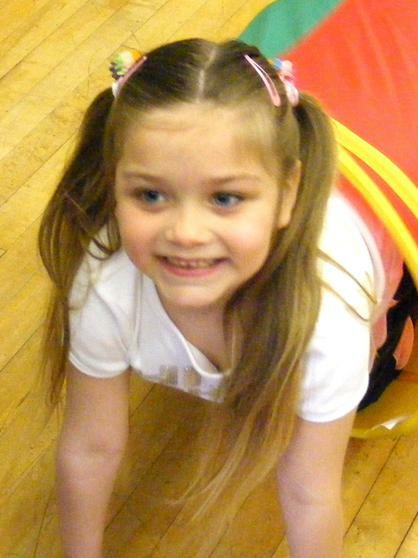 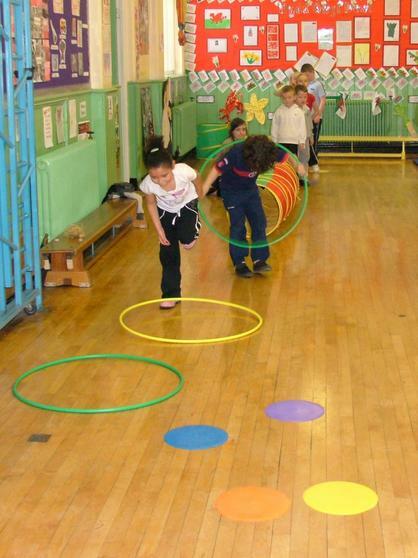 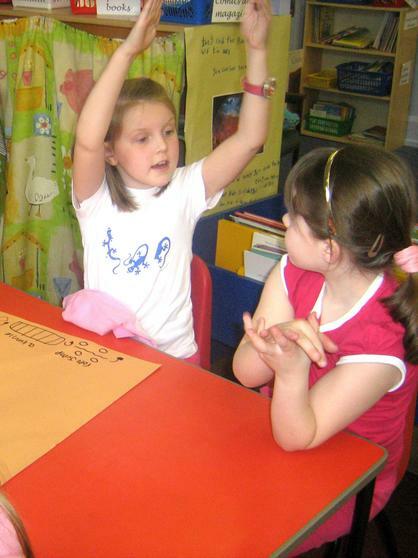 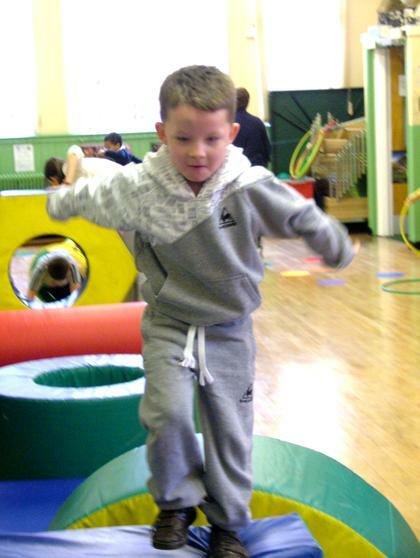 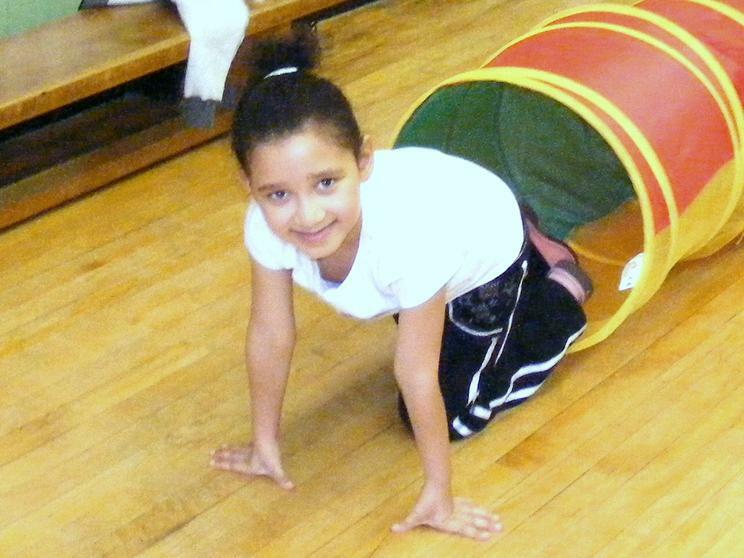 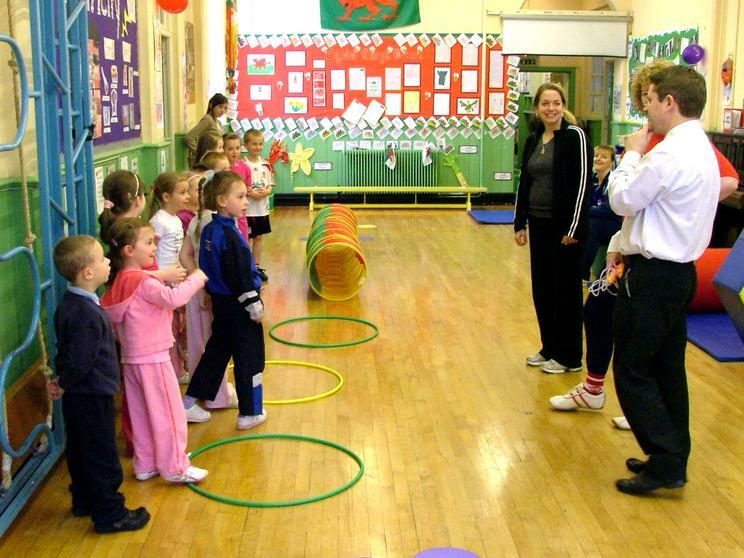 The infants had decided to organise their own special sports day to encourage exercise as part of a healthy lifestyle. 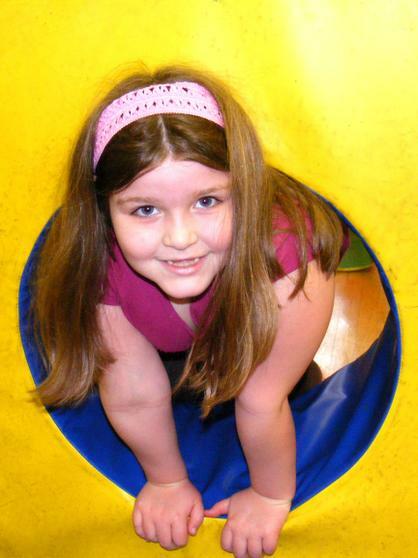 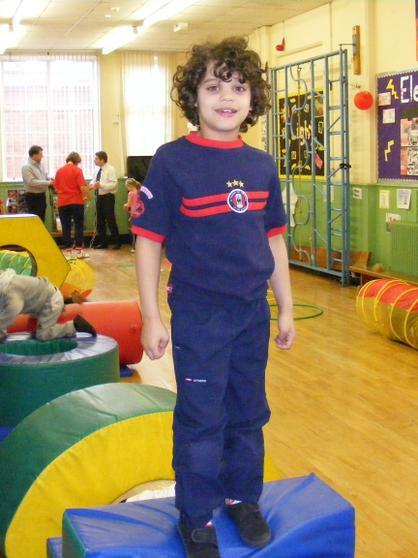 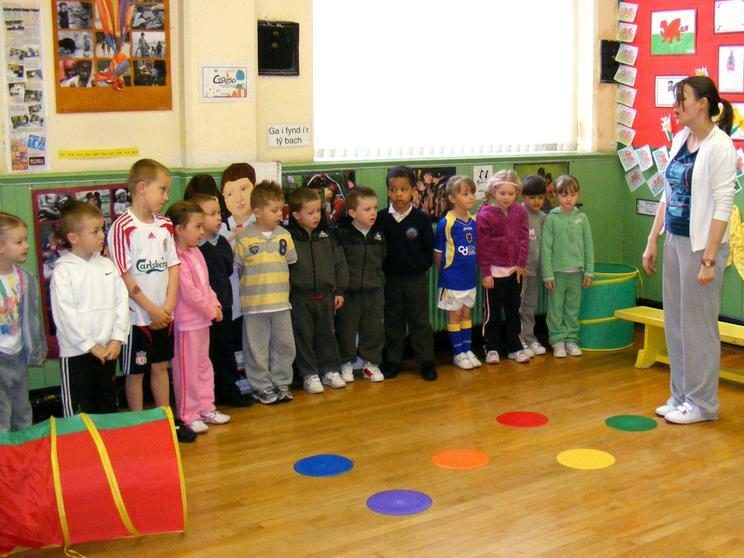 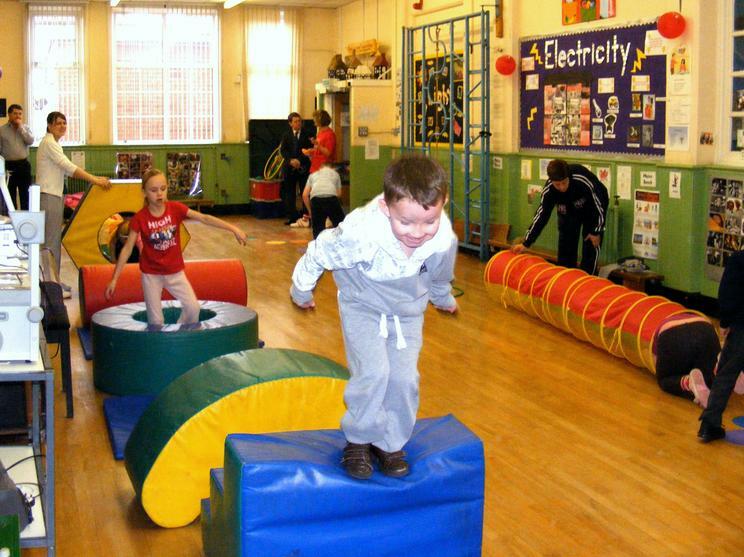 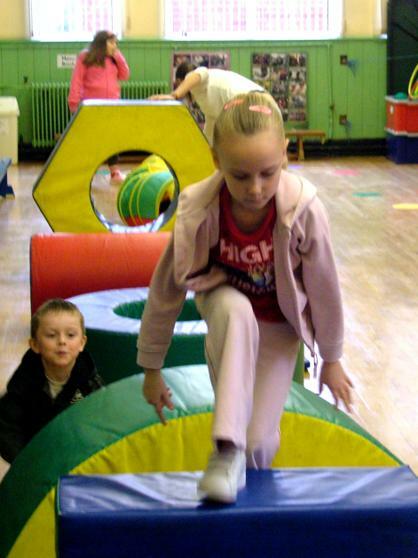 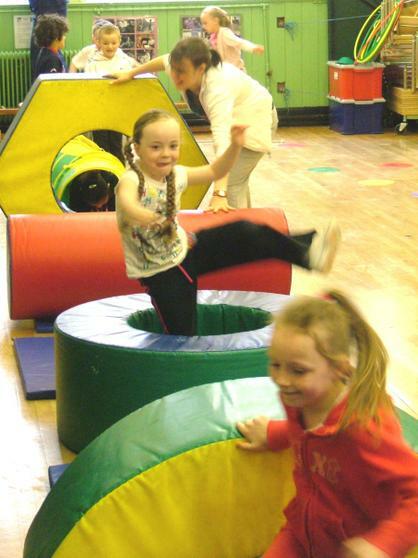 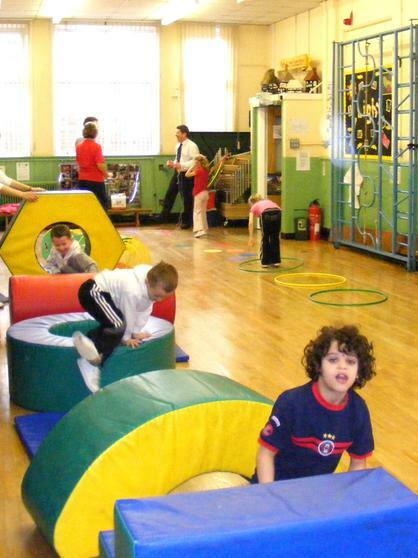 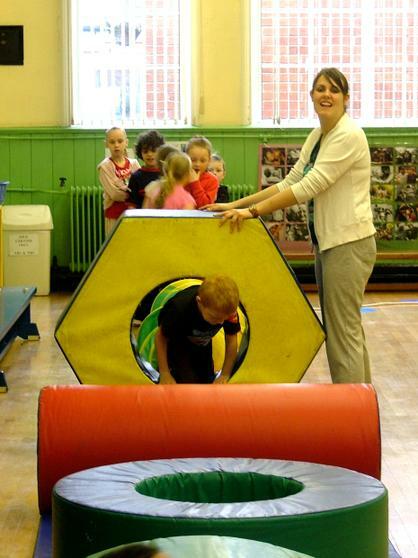 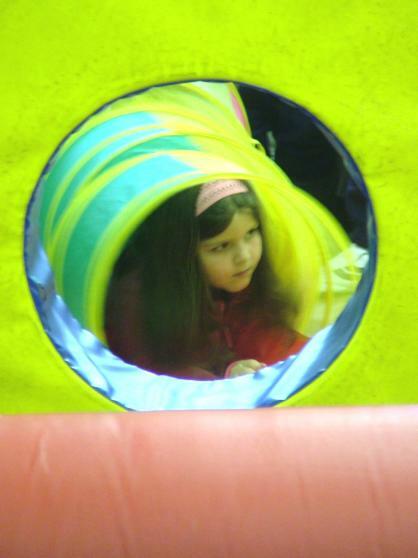 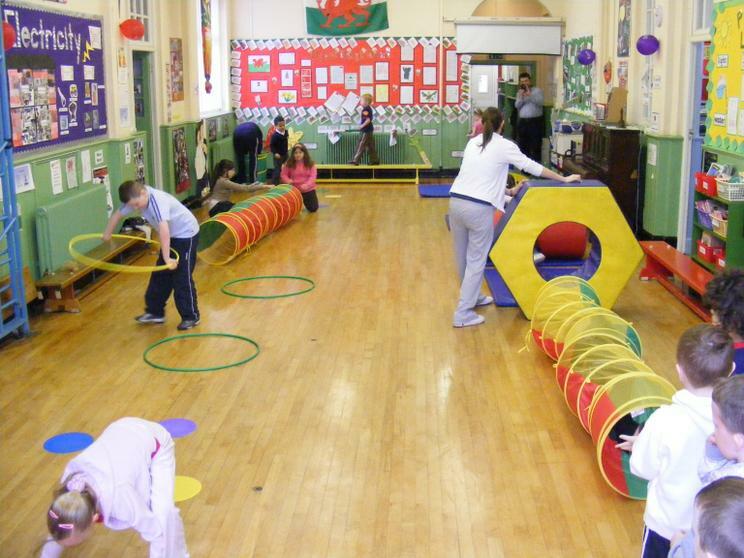 In the Junior Hall all the soft play equipment had been laid out to form a simple assault course. 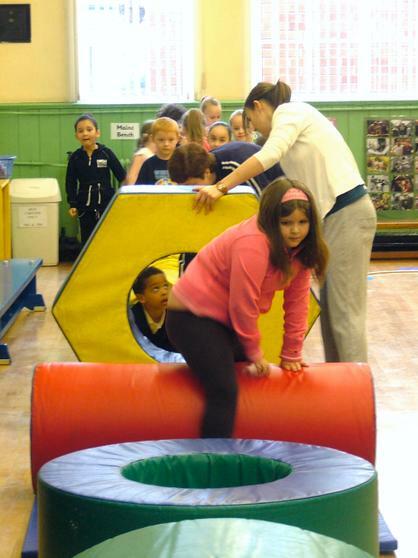 You had to climb over under and through various obstacles balance a bean bag on your head, jump onto the spots and all the while wear a big smile- well okay the last bit was easy everyone really enjoyed this bit. 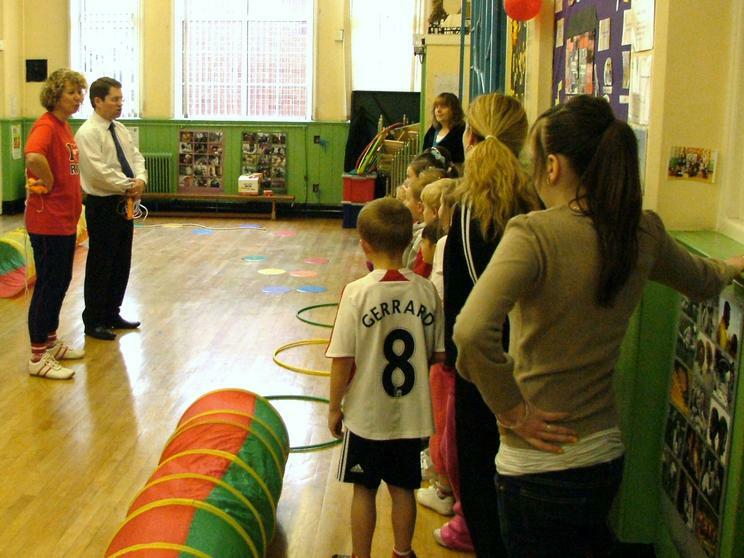 And that was probably the best lesson we can teach the children that exercise is fun. 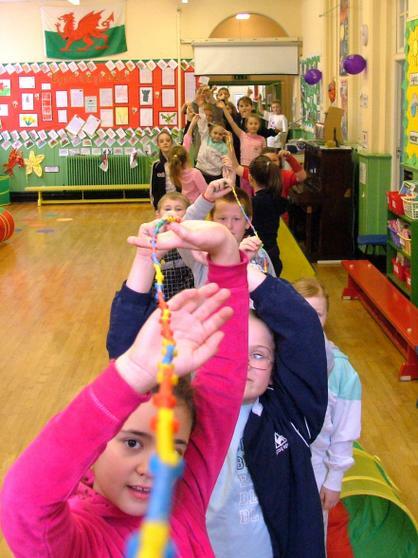 Hardly a day goes by without their being a report about how the 'average school child' in the UK does not get enough exercise yet we all know healthy body does help with a healthy mind. 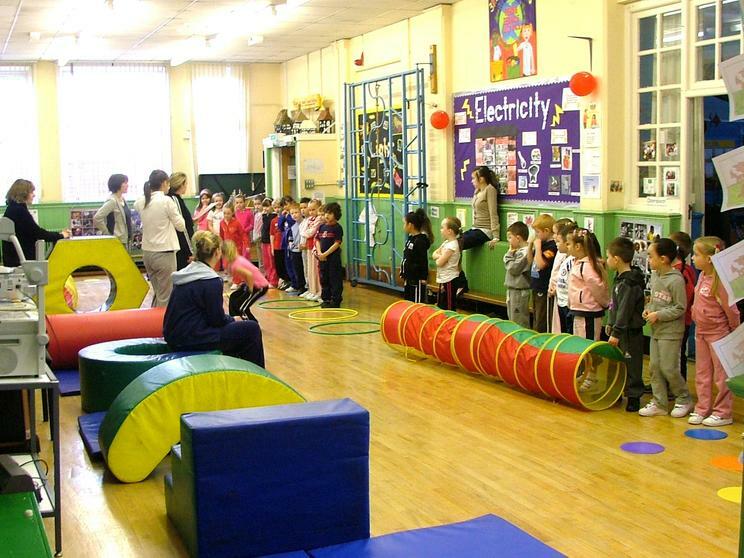 We are very lucky we can offer our pupils facilities like the Barn (which we walk too) and there are lots of clubs at Millbank like dance, football, netball and rugby that are very popular. 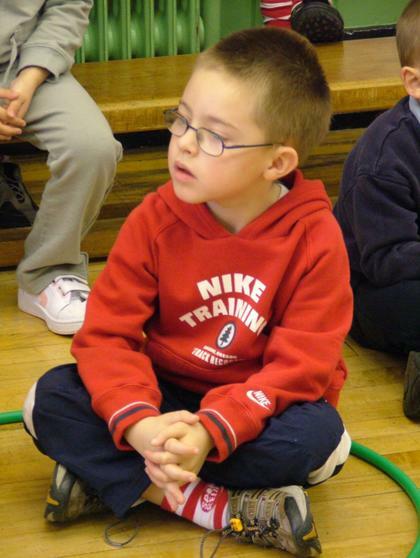 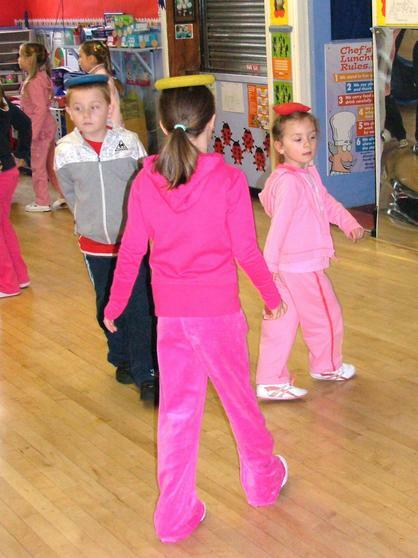 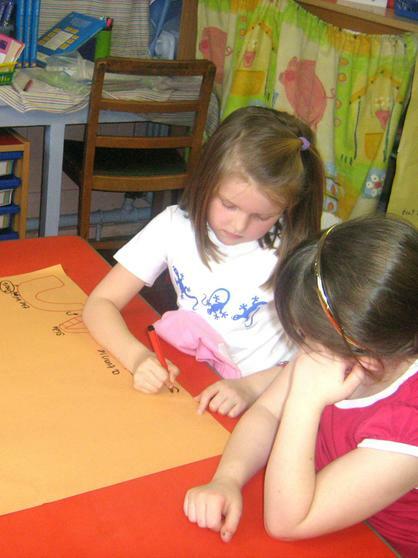 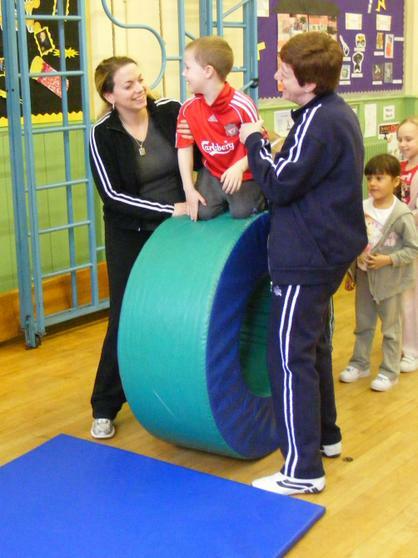 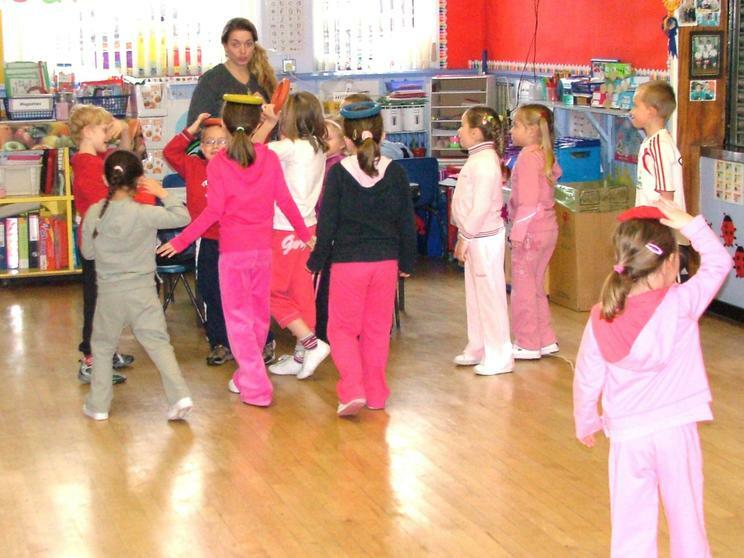 All of them encourage children to get used to taking regular exercise as part of their life not just as part of their school-life and as ever, we try and keep it all fun. 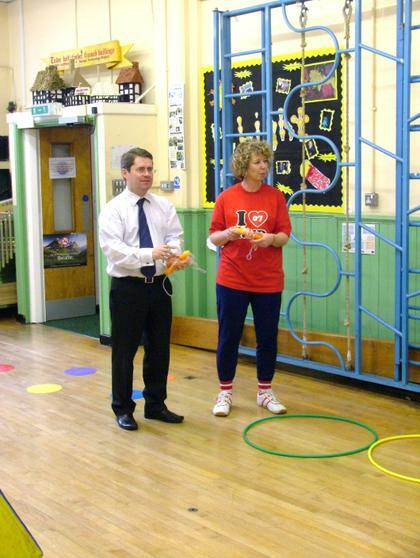 Can spot Mrs Webber sneaking a go at the course too? 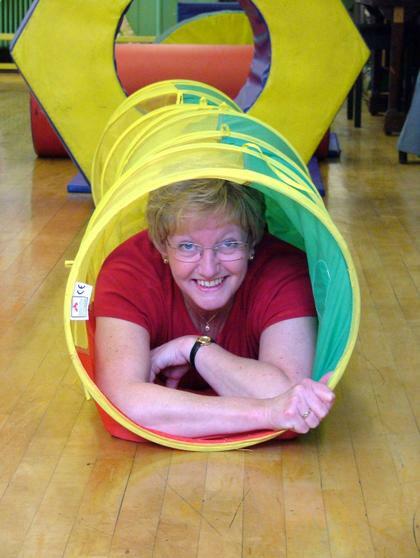 No surprise if you know her, on venture week she would be dancing, abseiling and running around whilst the younger teachers just watched exhausted, it is no wonder the children love her so. 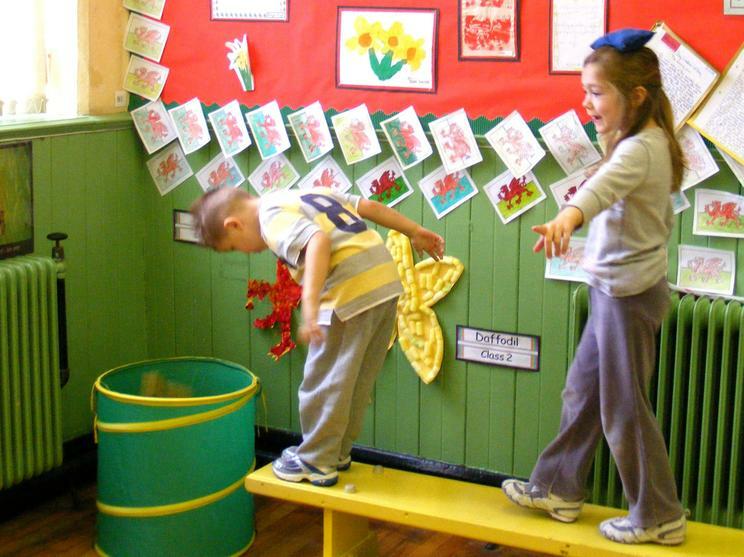 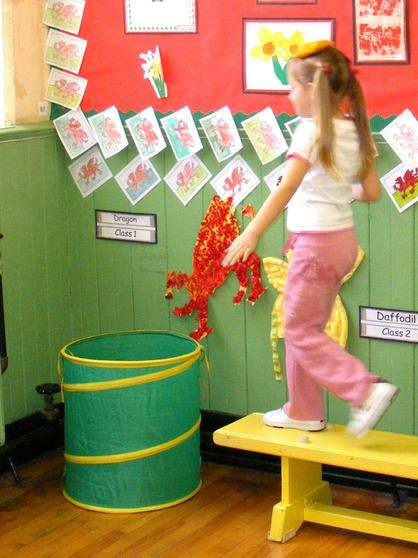 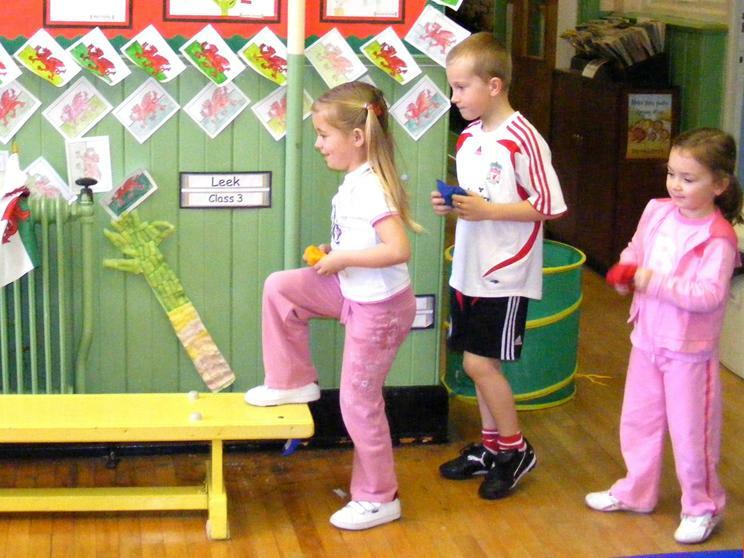 Meanwhile in class 3/dosbarth Dylan Thomas the children had been set the task of designing their own obstacle course using the equipment. 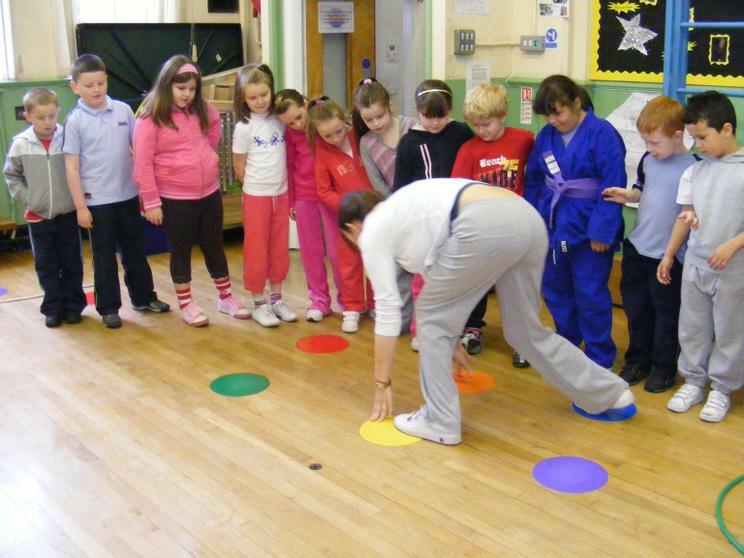 They had to work in teams (a skill in itself) and came up with some great ideas to arrange everything in such a way it would exercise all the different parts of the body as you worked your way around. 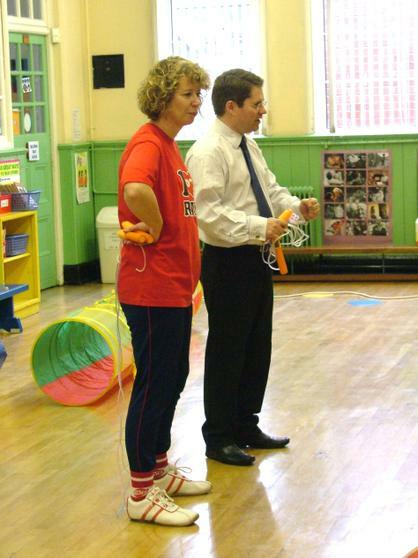 Miss Newing then supervised as they went back into the Hall and changed the equipment. 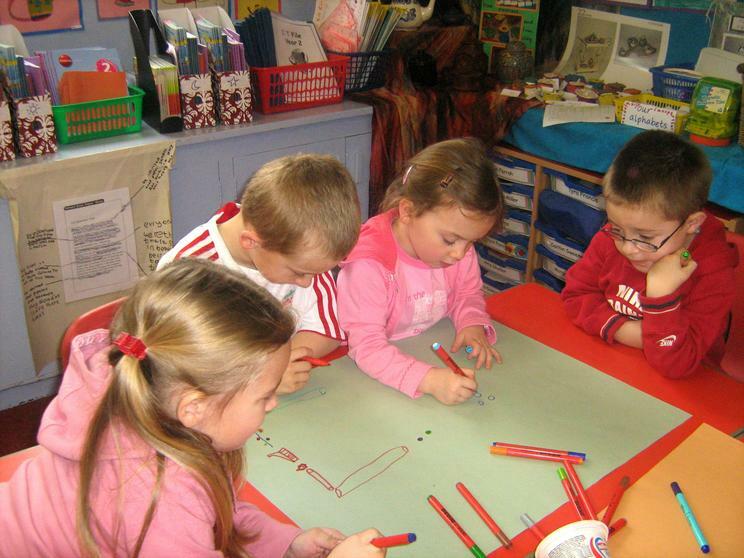 They then had test runs on the different designs, and they all had lots of good ideas about how they could adapt and change the layouts. 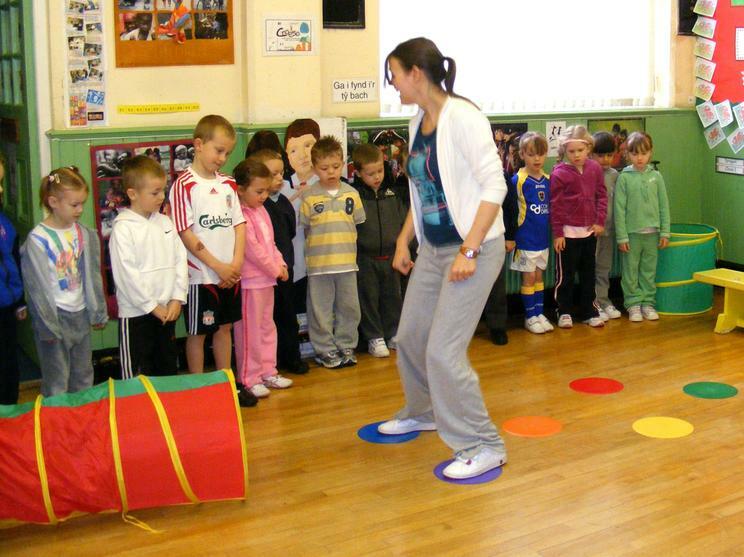 I hope we explained some of the reasons why we had such a day and why we promote not just exercise but a full healthy lifestyle at the school (fruit tuckshop, friendship stops, clubs etc)As a school we do believe that you learn more if you are having fun or at the least are happy in a safe caring environment. 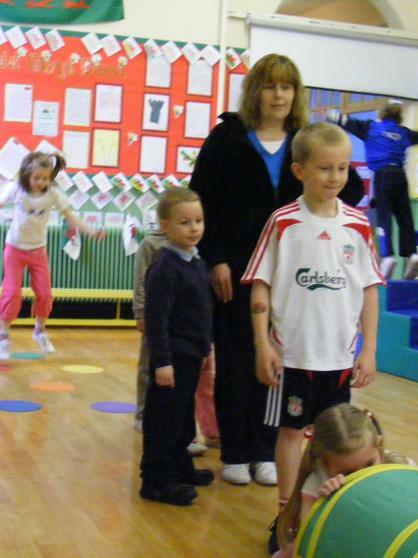 Rhys said "It was the best day he had ever had!" 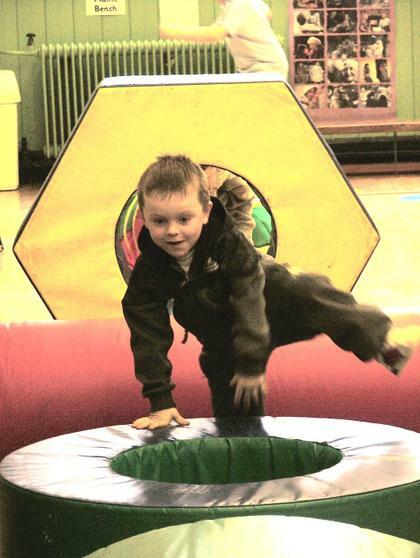 which is quite a complement as he is such a happy lad and you hardly ever see him without a smile! 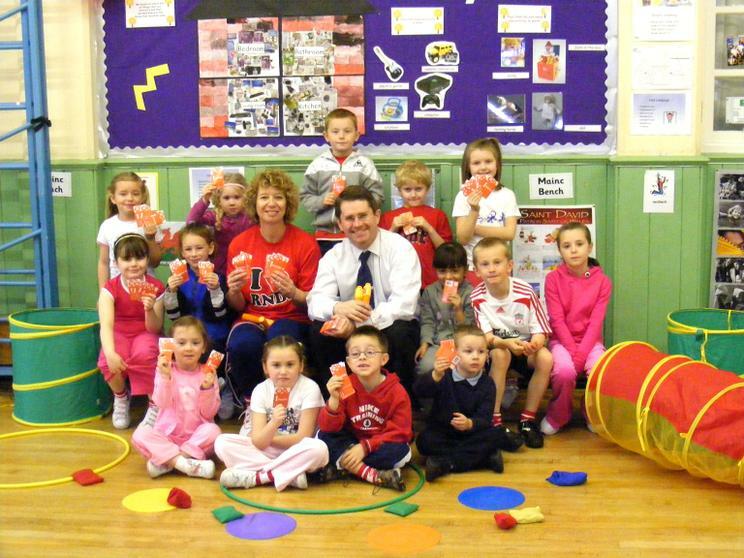 So well done to the staff and big thanks to Kevin Brennan and the school council too!